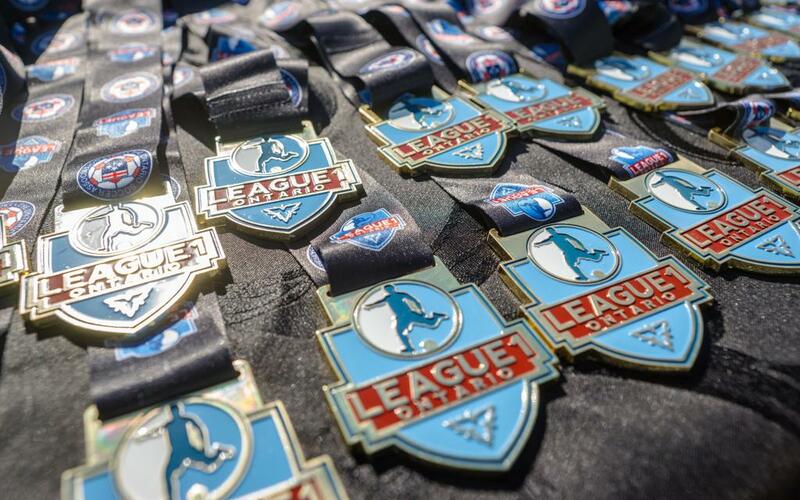 In the sixth of a set of daily League1 Ontario 2016 Awards announcements leading up to the L1O Awards banquet on Sunday November 27, the 2016 Young Players Of The Year have been revealed, featuring two outstanding performers from the 2016 season. These award winners were selected by a committee comprised of technical staff from each team in the league, as well as league officials, and decisions were based on an overall assessment of individual attributes and abilities of young players in the league - often in their first League1 season. 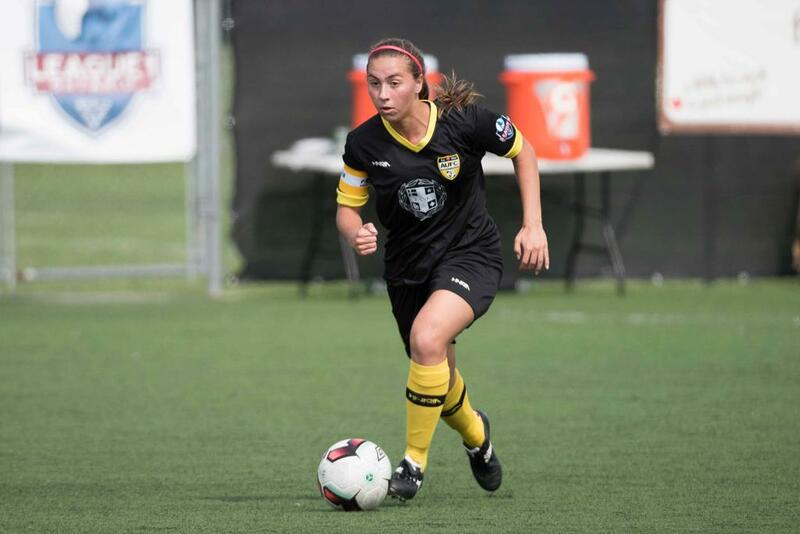 Canada U17 and U20 midfielder Sarah Stratagakis has had a busy year, both leading her League1 Ontario club side Aurora United FC in their debut season, and participating in no less than nine international camps, tournaments and - most recently - the FIFA U20 Women's World Cup in Papua New Guinea. In League1, Stratagakis set a strong example, topping the scoring charts at Aurora with nine goals in 856 minutes over ten appearances. Aurora finished the season in sixth position with 18 points and a 5W - 8L - 3D record. Sarah was selected to both the mid- and end of season All-Star list, and demonstrated a level of poise on the ball and visionary passing that has brought her renown on the world stage. To that point, Stratagakis was selected to the Best XI at the CONCACAF Women's Under 201 Championship in 2015, and the Best XI at the CONCACAF Girls Under 15 Championship in 2014. League1 is proud to host such a talented international prospect; Congratulations to Sarah Stratagakis on being named 2016 League1 Ontario Women's Young Player Of The Year! 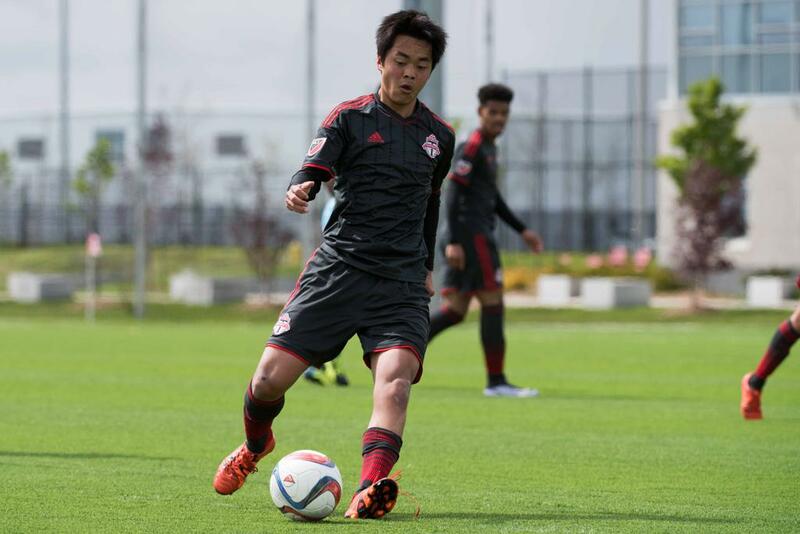 A stand-out performer in the glittering ranks of top prospects at the Toronto FC Academy, 17 year old Kota Sakurai was a major contributor to the team's late season surge that resulted in only one loss in ten matches. In fact, Sakurai personified the quality in the team, regularly exceeding head coach Stuart Neely's standard of relentless pressing, quick tempo ball movement, and rapid decision-making designed to both control possession of the ball and dictate the game to the opponent. Sakurai registered 1,160 minutes over 16 appearances, scoring two goals in the process. Sakurai was selected to the mid-season All-Star list, and was named to the end-of-season All-Star Second Team. Sakurai was also called up to TFC II on two occasions in 2016, becoming the club's first ever Japanese player to feature for TFC II when he made his debut appearance versus Wilmington Hammerheads on July 2. Congratulations to Kota Sakurai on being named the 2016 Men's Young Player Of The Year!